The motorized slotting head is the new slotting system for CNC lathes with motorized tool holders. 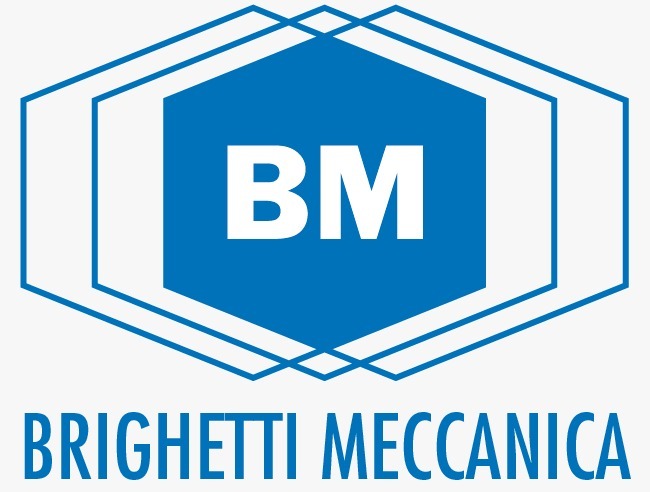 The experience gained during these years in slotting machining gave BRIGHETTI MECCANICA the capacity to understand the biggest set of problems operators meet during a slotting machining and to develop correct solutions to apply to the equipment. 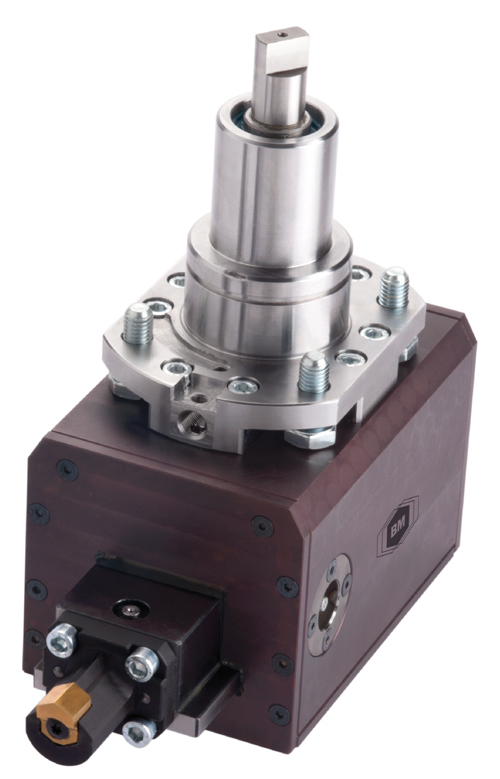 The same slotting head can be used for both internal and external machinings. It’s necessary to chance the rotation of the motorized axis and turn the head of 180°. The device placed in the front of the instrument has the purpose to correct simmetry mistakes. As this device leads to a movement of the insert holder along the machine Y axis, thanks to a rail, it is easy to use the motorized slotting head even on lathes with no Y axis. 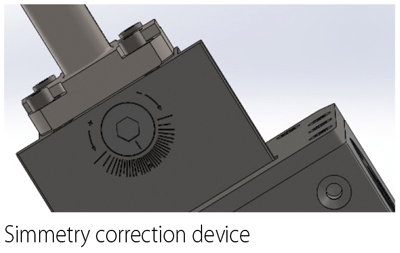 The capacity of the correction device goes from 0,5 mm Y+ to 0,5 mm Y-. The screw placed in the rear part of the instrument has the purpose to eliminate machining mistakes along Z axis. The new slotting head will be equipped with special insert holders in all types which have been produced for the machining of keyways and polygonal profiles. The programs for slotting head are available for our customers for free. Each type of motorized slotting head will be used with insert holder with specific machining length: 35 mm, 50 mm and 65 mm. As the experience with programs for standard slotting machining has been a good one, to help using this new instrument, our technicians develped new programs to quickly and easily set up the motorized slotting head. These new programs are suitable for the most popular CNC sfotware now on the market.